Fishing Provence – The Var sets itself apart as a fishing destination through its spectacular landscape and variety of local fish species. 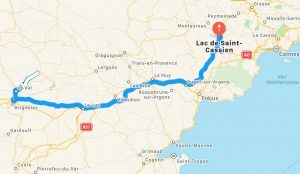 From breathtaking spots to the Verdon Gorge (Europe’s deepest gorge) flowing into the St Croix Lake, to hidden spots on the shady banks of clean rivers like the Argens and Carami. Maison Lambot B&B offers anglers (and their families) peaceful, luxurious accommodation with easy access to all the region’s best fishing. To book your room please click here. The Var area is a great fishing destination offering anglers the chance to catch a wide range of species of fish in varied and spectacular locations. Adult fishing licenses can be purchased online for €15 per day or €32 per week, under 12s pay €6 per year, under 18s €20 per year, ladies currently get a special deal €32 per year. The fishing high season runs from March until September. 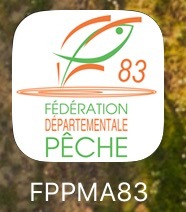 Detailed multilingual information can be found at http://www.fedepechevar.com/ or by using the FPPMA83 App (available from the France App store). 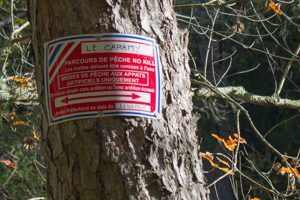 Immediately upstream of Maison Lambot, the Argens is classified as a category A waterway, open for trout and other species from March until September. Secluded river fishing spots can be found 10 minutes walk from the property. Downstream of the neighbouring village Carces is a category B waterway where fishing for carnivores is permitted throughout the year. Next to Carces, 8 km from Maison Lambot, the Lac de Carces is a great night fishing spot for Carp. In the same village is the confluent of the Argens and Carami rivers, downstream of which is a popular spot for catching carnivores. In the Lac de Carces are plentiful Carp, Perch, Roach, Pearl Roach, Bream, Pike Perch and Sun Perch. Carp must be released. 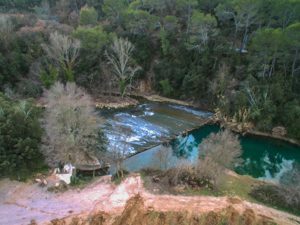 The Caramy river has cut a gorge through the green hills north of the town of Tourves. Along the river there is a catch-and-release circuit in beautiful surroundings, shaded by trees and full of trout. For a write up on the Caramy Gorge walk see this blog post. The start of the walk (Tourves) is 25 minutes drive from Maison Lambot. Operators offer sea fishing based out of Marseille and Toulon for those wishing to head out to sea. A renowned Carp fishing lake where a range of species can be caught, the ‘Lac de Saint Cassien’ is located just under an hour’s drive east of Maison Lambot towards Cannes. In the breathtaking Verdon Gorge area, the ‘Lac de Sainte Croix’ offers fishing opportunities in the beautiful unspoilt surroundings of the Verdon National Park. The Verdon gorge is the deepest gorge in Europe and well worth a visit too.